Fan-forced air circulation in the MPR-514-PA allows for precise temperature uniformity, even after frequent door openings. It is ideal for highly reliable storage of pharmaceuticals, medicines, vaccines and other temperature sensitive materials. 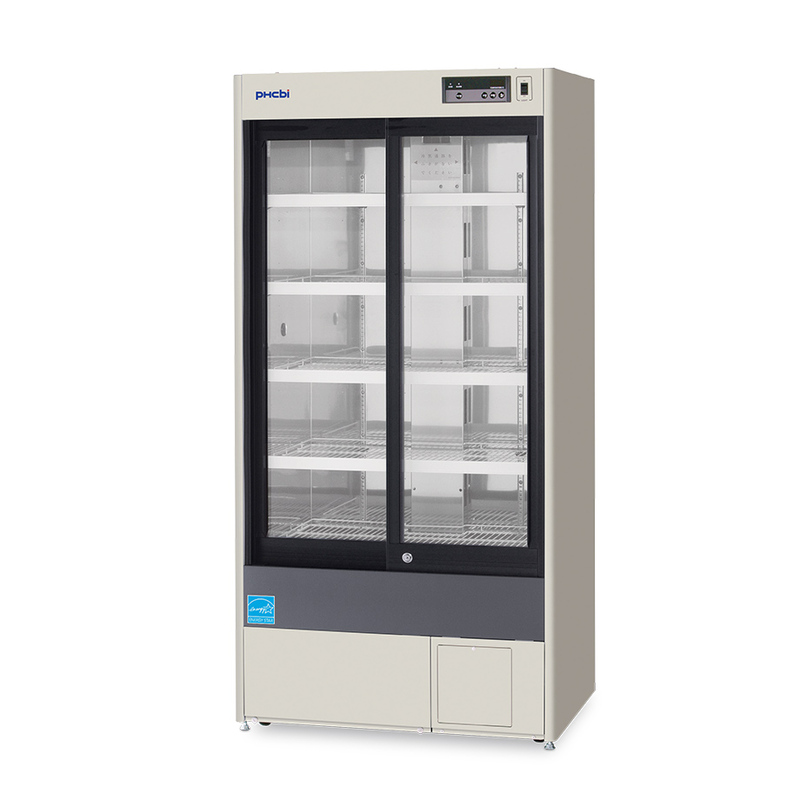 The ergonomic design of this pharmaceutical vaccine refrigerator provides a clear view of stored items through the large framed windows. The slim profile allows for easy retrieval of all products, while the space saving design ensures less installation space is required. 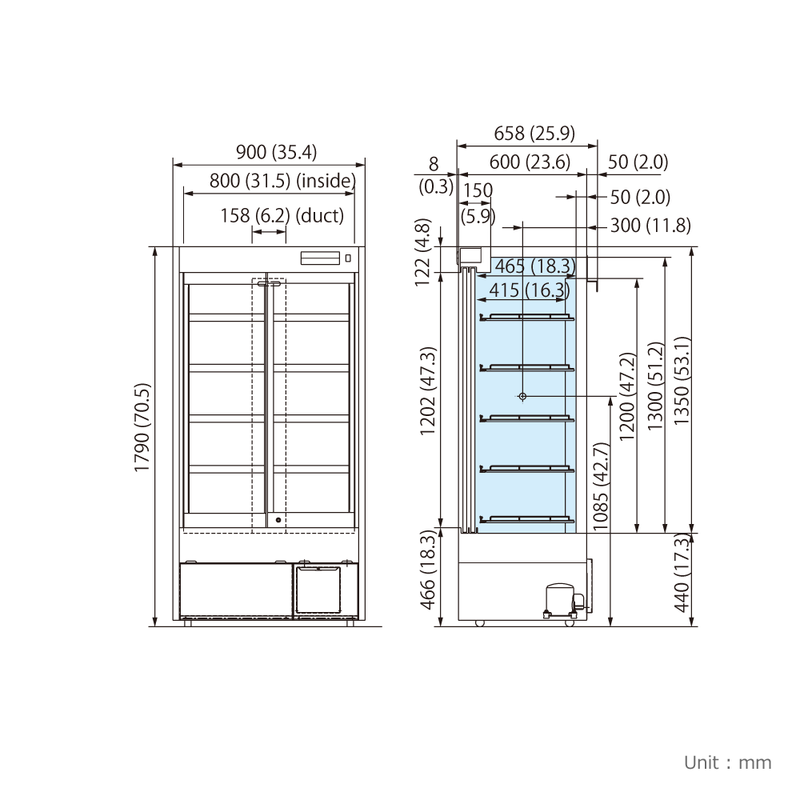 The two, easy-to-open, dual paned sliding glass doors seal tightly to maintain uniformity. Comprehensive setpoint, alarm, monitoring and diagnostic functions are maintained by a PHC built microprocessor controller with digital display. Audible and flashing LED visual alarms alert you to the unlikely event of either a high or low temperature condition. If the inside temperature rises abnormally, an overshooting prevention circuit automatically switches off the fan motor or heater. 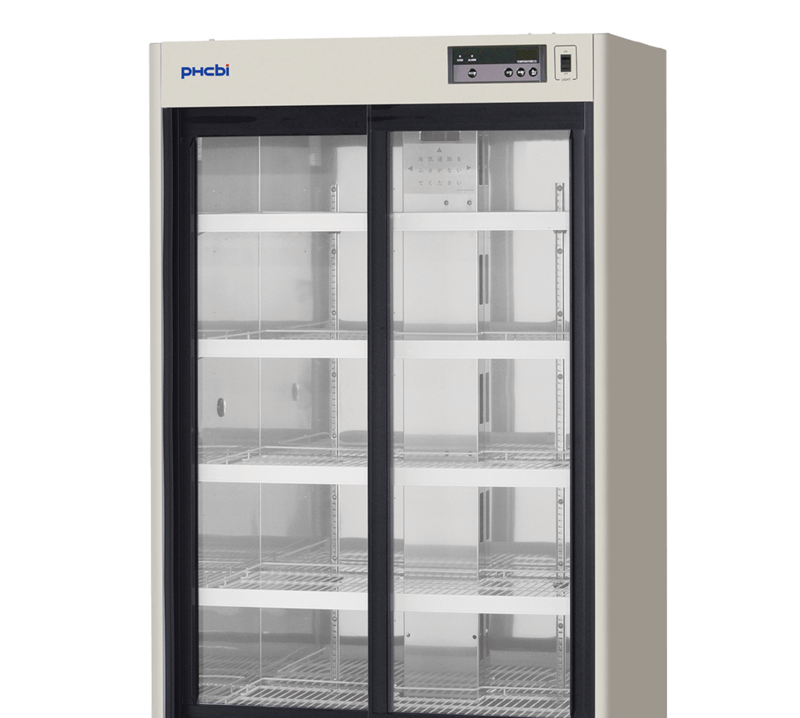 The MPR-514-PA Pharmacy and Vaccine Refrigerator offers a complete and integrated solution for the increased requirements of achieving strict and reliable storage temperatures. The slim front-to-back design and optional sliding shelves allow for ergonomic retrieval of your product while fitting seamlessly into your facility.